I was a colleague of VAdm Norman in the Canadian Forces. 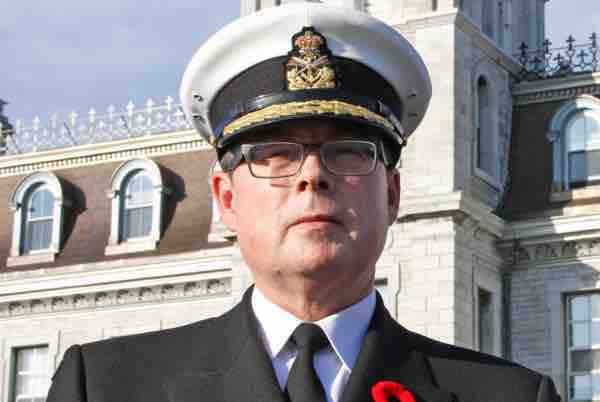 We served together in National Defence Headquarters; he as the Commander of the Royal Canadian Navy, and me as the Director of Strategic Readiness with the Strategic Joint Staff. Funds raised will be withdrawn directly by VAdm Norman and his legal team to an account established by him. Wow - we have reached over $300,000 folks! That is a tremendous amount of money! BUT - if you are watching the news, you will see that. VAdm Norman’s lawyers are in court fighting for him every week. That is time consuming and therefore very expensive! The money you see in our total has been spent, and more is needed. Our donors have been very generous - many, multiple times. So let’s share this story with friends and family so they can show their support. When people learn about this case, and how dirty the whole situation is - they want to help. Thanks to all our generous supporters! Over the past few months Vice-Admiral Norman has been engaged in an intensive and demanding legal battle as he tries to access government documents that he and his lawyers argue are essential to his defence. This process has been difficult and frustrating as their efforts appear to have been thwarted by the government at nearly every opportunity. Without access to these documents Vice-Admiral Norman may not be able to properly defend himself. Beyond just the toll this must be taking on him and his family, this process has been very expensive and the funds we have raised to date have already been exhausted. The next step in the process will be to make an application for a stay in the proceedings based on "abuse of process" motion that will be argued at the end of March. Just getting through that next motion will be an expensive undertaking; to say nothing of having to potentially support a 9 week trial later this year. In recognition of the mounting financial challenges of funding his defence, I have decided to raise our goal to $500,000. That’s an ambitious goal, but Vice-Admiral Norman needs all the help we can give him. Let's all try and find at least one new new supporter so we can double our ranks - and our hopefully the funds - over the next couple of months!